What if you could harness the remarkable power of change to accelerate your success? Ralph shows you how to do it! 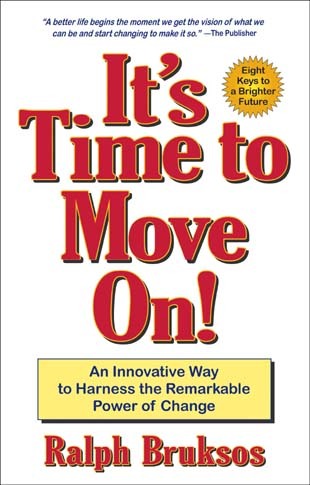 It's Time to Move On!---Teaches you how to use change for your benefit. Instead of being disrupted, upset, or paralyzed by it, you'll understand how to change can be good not only for your income, but also your emotional well-being. ● Use change, no matter how turbulent, as an opportunity to move on. ● Initiate a positive change when you've reached a "comfortable" plateau..
● Harness one of the greatest motivational forces know to humankind..
● Successfully implement change with team members and clients..
● Overcome the fear of change and become a "Change Master". Rising from "bad boy" to millionaire, losing it all, and bouncing back as CEO of a major corporation, and now a consultant to Fortune 100 companies, Ralph knows what it takes to benefit from change. The lessons learned from his hard-knocks experiences will help you face fears, improve your relationships, set higher goals, and--move on to a brighter future! "When you choose to change, grow and move on, someone or something will come into your life to help you".